I frequently have guests over, which means I have a huge array of drink coasters. 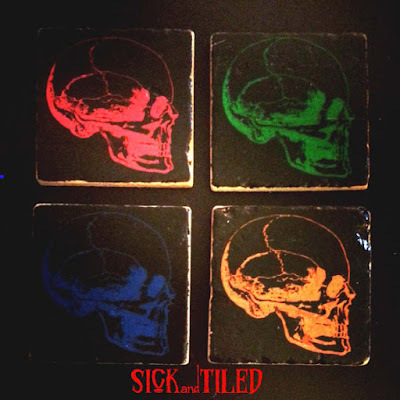 For future Halloween or horror movie parties, these spooky coasters by Sick and Tiled on Etsy are awesome. 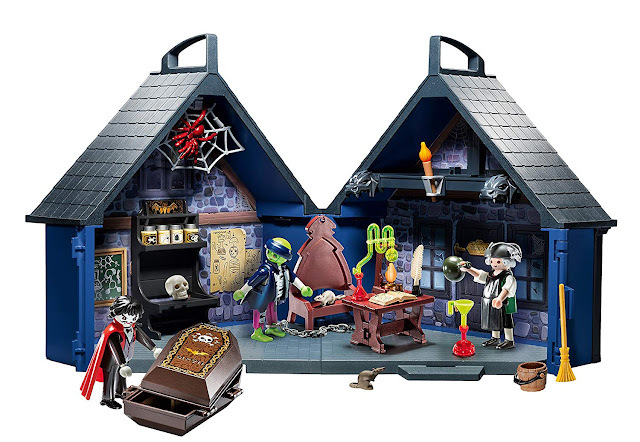 If you love some of the classic horror films, you need to take a look at these. I think Kubrick would have wanted these The Shining coasters. These all show very prominent imagery from various parts of the movie. 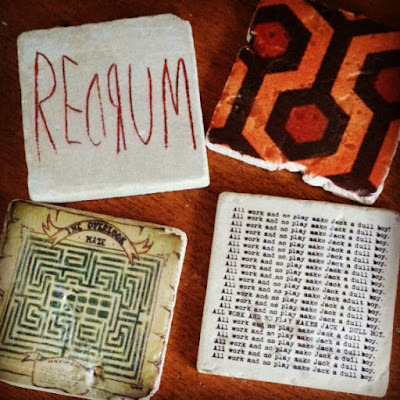 I love the "All work and no play makes Jack a dull boy" coaster in particular. It shows the progression of his craziness! It might even be hilarious to keep these in an isolated cabin that you may have. Don't forget to get out once in a while! 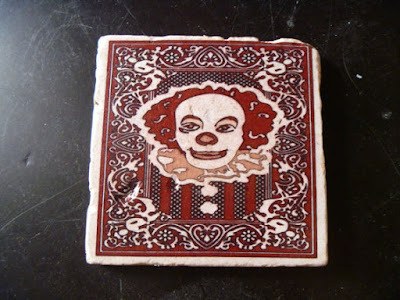 I can't get these Pennywise coasters without incurring a possible panic attack. I've only been able to watch the movie It one time, which was plenty for me! Plenty of people love evil clowns, but I just can't do it. I can say, I do like how these coasters look like the top of playing cards. Think of the children before going out of your way to get these terrifying coasters! 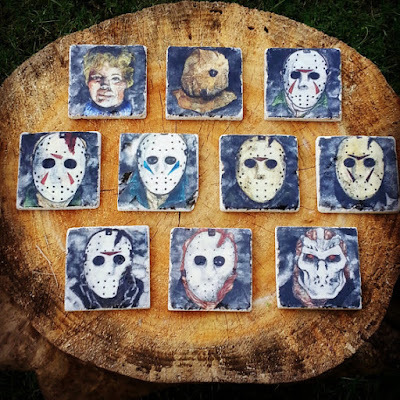 This is such an awesome collection of Friday the Thirteenth coasters. Isn't it cool how Jason's bloody masks change as the Friday the 13th series progresses? 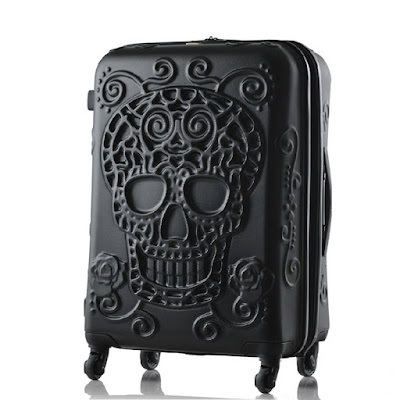 I think this is a great gift item for a horror movie buff. Not only that, but you can have enough coasters for a decent sized Halloween party. These are really awesome! A personal favorite would be these Hannibal tumbled coasters. Don't you want to see creepy Hannibal Lecter's face every time you want to take a sip of coffee? Can you hear the little lambs screaming? I wish they had an assortment of Silence of the Lambs images rather than just one. Similar to what they did with The Shining! If you're looking for a bit of a basic coaster with an unsettling aura then I would check these Pop Skull coasters out. I definitely love how the anatomical pictures are in a neon color. Think about how cool these would pop if they were under a blacklight! It would feel more grotesque that way in my opinion! 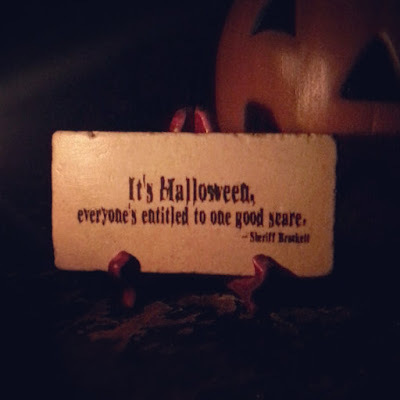 This Sheriff Brackett Plaque says "It's Halloween, everyone is entitled to a good scare." This has never been a truer quote! 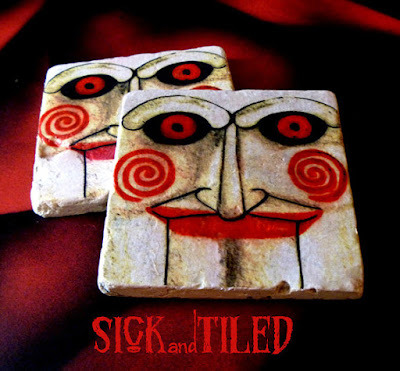 Sick and Tiled has a bunch of Halloween themed plaques for all horror lovers. 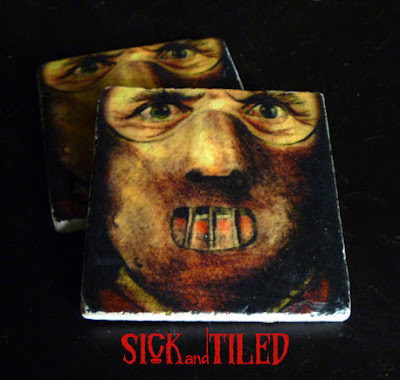 What do you think about these horror coasters by Sick and Tiled? There are a ton to pick from, so I would take a peek. Make sure to comment below and let me know what your feelings are.